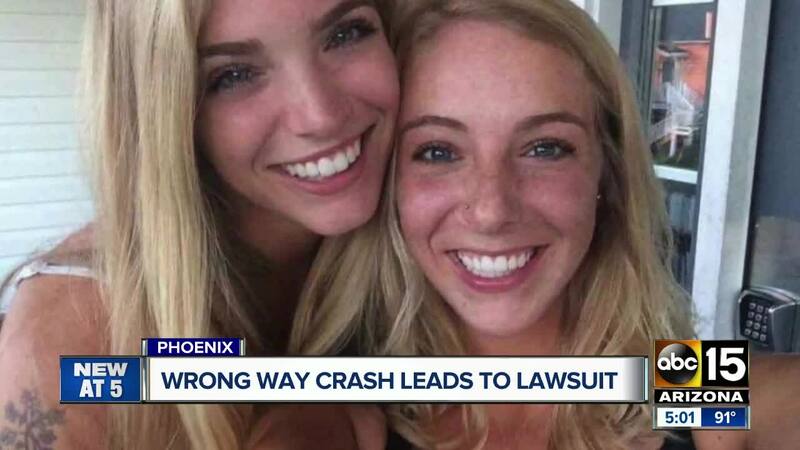 The parents of two sisters who were killed in a wrong-way crash in 2017 have filed a lawsuit against the restaurant where the drunk driver got his alcohol. "I'll never be a grandma, I'll never plan a wedding, I'll never pick out a wedding dress, every mother's dream with her daughter," said Cathy Hocking. Hocking says the day she lost her two daughters Kelsey and Karli Richardson, life stopped. "I don't have other children, I'm not married," said Hocking. Last April, Kelsey and Karli were killed when 21-year-old Keaton Allison went the wrong way on Interstate 17 near Greenway Road after a night of drinking. "Everybody is paying attention to it, everybody wants answers, everyone wants to know how did this happen and why did it happen," said Hocking. She's now filed a lawsuit against Mellow Mushroom off Happy Valley Road. The suit says Keaton Allison had enough alcohol to where he was clearly intoxicated. It states employees of the restaurant failed to do their jobs. 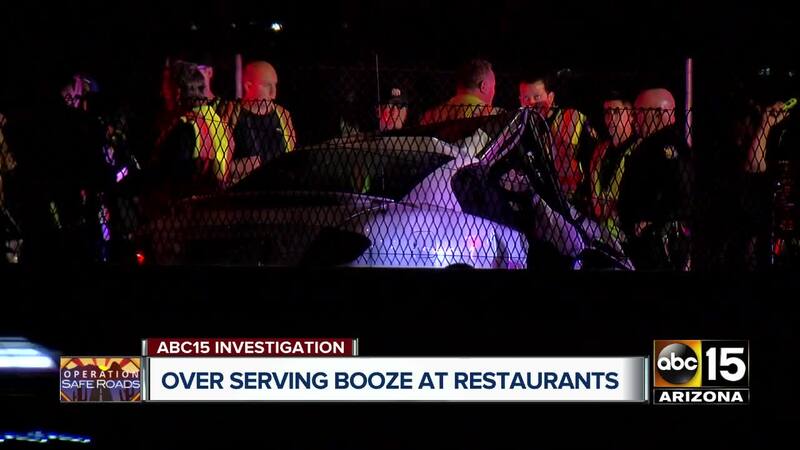 "We are charging in this case that the suspect was over-served, was allowed to remain on the premises, and they did not protect his safety or the safety of other people," said Wes Kuhl of the Department of Liquor Licenses and Control. At the time of the crash, Allison's blood alcohol level was more than three times the legal limit. An investigation by the Arizona Department of Liquor lead to a civil citation. The report quotes witnesses who say Allison had consumed numerous beers and shots. One friend telling Allison quote, "Dude, you can't drive." Hocking now hopes the lawsuit puts pressure on restaurants to change this potentially deadly pattern. "It doesn't bring them back, but I hope it makes a difference," said Hocking. Hocking is also fighting to bring awareness to the bigger issues plaguing our state. Just last year, 767 businesses were cited for serving alcohol to minors in Arizona according to the State Department for Liquor license and control. More than 800 criminal charges were filed for violations of the states liquor laws. Brandon Risk, head bartender at Rula Bula off Mill Avenue, said he's trying to make sure his staff understands the serious implications. "The first thing we do before we do anything is we have to have our title four certification here at Rula Bula," said Risk. That means each employee is put through training certified by the state. "It's ID, it's how to prevent people from being over-served, what to do if they are over-served and how to help them in the case that that happens, how to get them home safely," said Risk. He said it's not only critical for the survival of the business but a responsibility. "It's such a sad thing that anybody lost their life for any reason, especially something that could be prevented," said Risk.